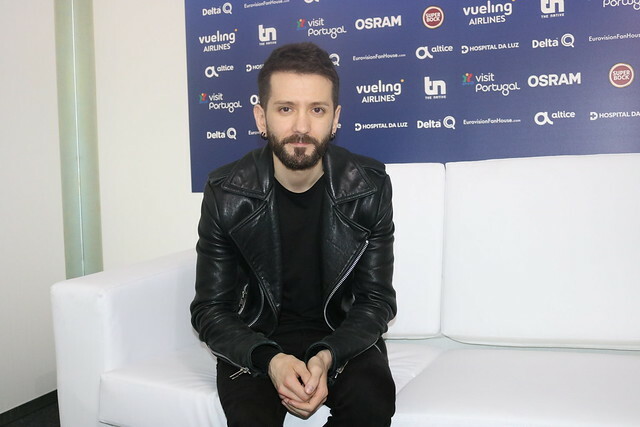 Sennek | ESCKAZ.com live from Lisbon! First notable change today with Sennek now holding her hand in front of her eyes - then when she takes it away the visible spot widens as we have seen in the first rehearsal as well. The camera and/or lighting still isn't steady however, which makes it look a bit funny. Sennek's performance is really good, she looks more confident and very relaxed on stage. It's still all dark - but I think it suits her and her song. Wow, this is good! Sennek delivers the best vocals I've heard on this song live. The staging, as well as her dress, are black but it suits and it's finally something different after all the blue / red / yellow stagings we have seen so far. Speaking of the staging, it's probably the most basic one Hans Pannecoucke has delivered so far. It's just Sennek on stage, she walks around a bit. However, in this first one through there is one big 'but' - and that is the start. The idea of showing just the eyes and then opening up the rest of her face and her is nice, but the cameraman should have a steady hand and not the shaking we saw now. Then again, first rehearsal, first run, a lot of time to improve. Also, I can't really see it well now, but it seems to me she is the first act to use the 'satellite' stage in the middle, bringing her closer if not among the audience which will hopefully help her connect to the audience. 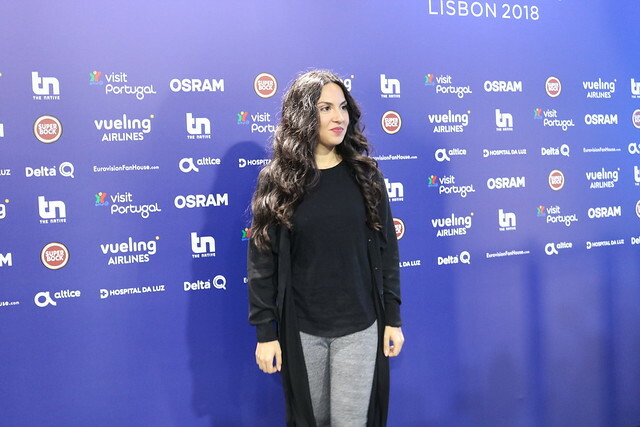 This afternoon, our Eurovision candidate Sennek took the airplane to Lisbon. 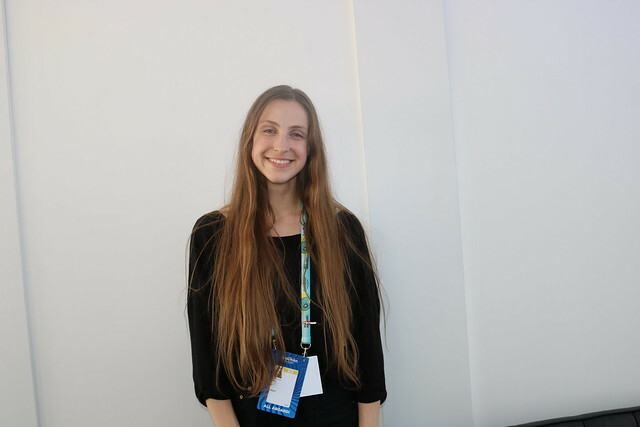 She and our Belgian delegation land there tonight, and Sennek will rehearse tomorrow for the first time on the Eurovision stage tomorrow. A lot of Belgian press came to wave Sennek off and to ask her for a final reaction before her flight. Peter Van de Veire, the Belgian radio host who will provide the commentary for Belgium during the live shows, was also there to wave her off. Tomorrow Sennek wil have her first rehearsal on the stage, with her full outfit and the act. This will be the first time that her outfit is revealed. 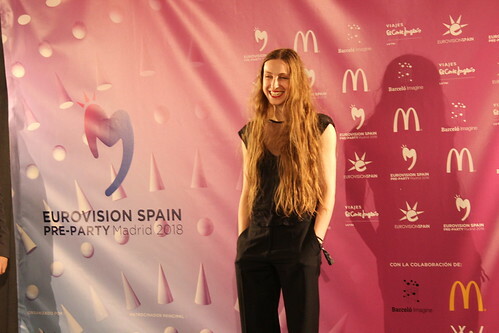 Sennek will perform her song A Matter Of Time in the first semi-final on Tuesday the 8th of May.